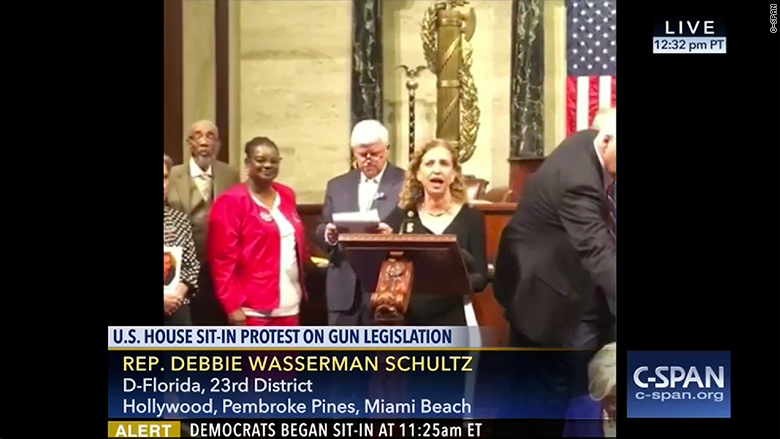 C-SPAN called in extra staff members and refreshed Periscope constantly as it provided nonstop live coverage of a strange sight inside the House of Representatives. 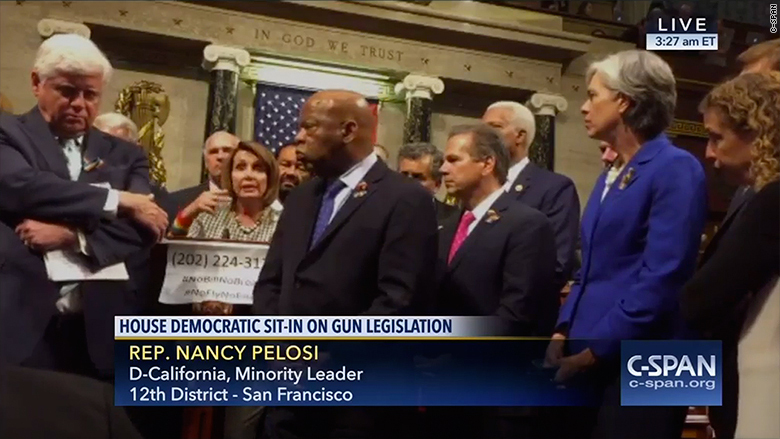 A sit-in by Democrats who are demanding votes on gun control bills stretched from Wednesday into Thursday before concluding after more than 24 hours of protest. C-SPAN televised it by tapping into live cell phone streams from lawmakers who were part of the protest. The normally low-profile cable network enjoyed a surge of attention for its coverage. At C-SPAN's Capitol Hill headquarters, "the vibe is 'This is our story and we need to cover all aspects of it as best we can.' At times like these you see the best in your colleagues," Terry Murphy, the network's vice president for programming, said Thursday. He said "everyone pitched in to be on top of the protests for our audience." That meant the night producing staff, who usually leave at midnight Eastern time, worked until about 4 a.m. Thursday. While CNN and other cable news channels also covered the protest, C-SPAN was the only channel televising it almost wall-to-wall. C-SPAN's claim to fame is gavel-to-gavel coverage of House and Senate proceedings. But the House is not technically in session right now. That's why the television cameras that are controlled by the House Speaker Paul Ryan, a Republican, were switched off when the protest started. The cameras briefly flickered back to life when Ryan held votes Wednesday night and early Thursday morning. But the main sources of video and audio from the floor were the Democrats' Facebook Live and Periscope accounts. The live coverage highlighted a decades-old disagreement between the news media and the legislative branch. Television networks like C-SPAN would like to have cameras up in the balcony that they can control, in a journalistic fashion, rather than just repurposing the live signals that the government provides. "We do have a long-standing history of asking for independent TV cameras to be added to the chamber," C-SPAN communications director Howard Mortman said Thursday. But Congressional officials have steadfastly turned down the requests. As the Democrats' sit-in has demonstrated, there is now an alternative: Social media. C-SPAN programs have been showing tweets and Facebook posts on screen for years, but the producers had never relied on live video streams like this before. Murphy said he received no official complaints or compliments from Congressional officials about the Periscope- and Facebook-powered coverage. "But we have seen a lot of comments on social media," he noted. C-SPAN is funded by cable providers, so a story like this helps demonstrate to cable subscribers why the network is worthwhile. The phones also lit up at its headquarters. Media inquiries and social media traffic to C-SPAN's accounts also spiked during the protest. So it's logical to think that television and web viewership of C-SPAN was also above average, though Murphy said he had no data to share. Because C-SPAN does not show ads, it is not rated by Nielsen. Murphy noted that Wednesday had already been hectic for C-SPAN producers, with Janet Yellen and Hillary Clinton visiting Capitol Hill, Donald Trump delivering a major anti-Clinton speech, and Bernie Sanders dropping by for an interview. 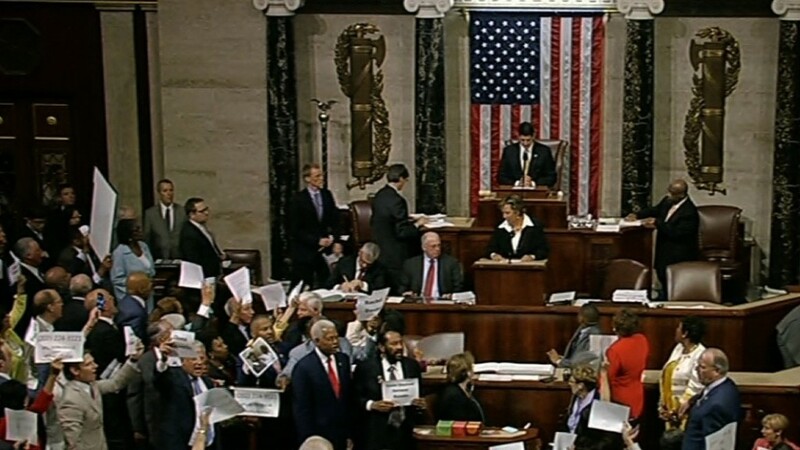 Then the sit-in started, apparently organically, and C-SPAN scrambled for social media videos. It made for a memorable day in the control room. "We had no prior notice of the protests, so had to mobilize pretty quickly," he said.